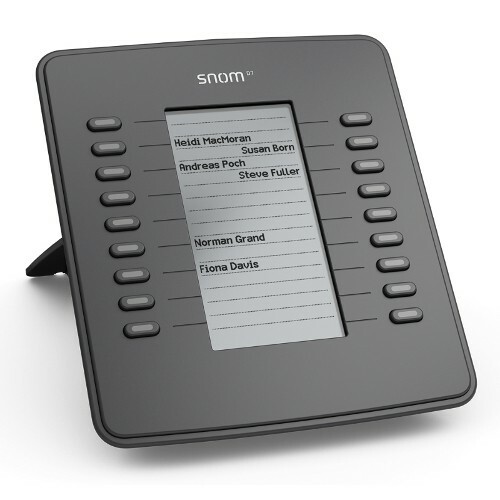 The high-resolution display provides a perfect visual interface which can be easily configured and labelled via the phone’s web interface or directly on the phone itself. Using the D7 could not be easier: simply connect the USB cable and it’s ready to use. Three D7 expansion modules can be daisy-chained to add up to 54 function keys to your phone. 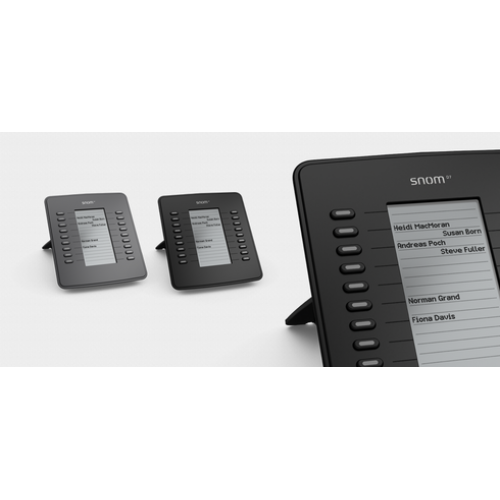 The D7 is the perfect addition to any Snom 7-series desk phone with USB port.